An all-electric dicycle (a unicycle with two parallel wheels) that transforms into a tricycle, designed by young American inventor, Benjamin Gulak and his company, BPG-Motors. 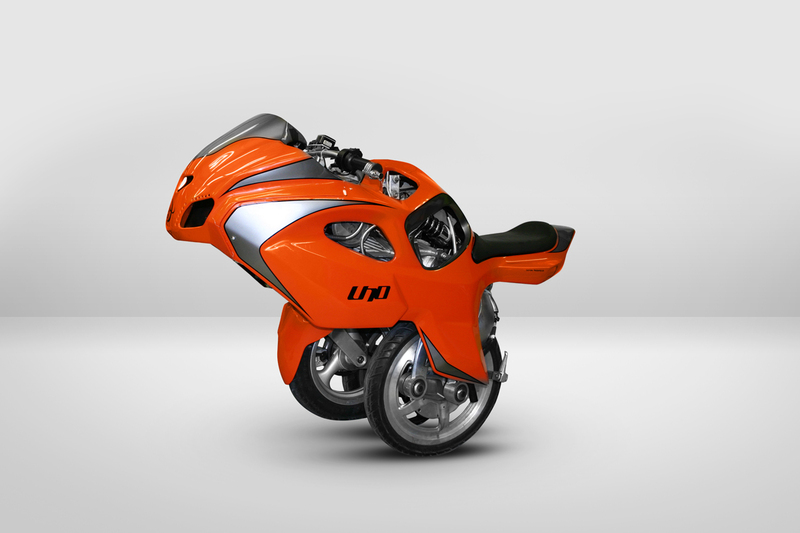 Based on his original Uno 1 prototype built for a year 12 science project in 2008, the Uno 3 has evolved to manage the transformation from nimble city get-a-bout to stable highway tourer: just twist the accelerator and the front wheel deploys, the bike’s gyroscopes automatically adjusting the tilt of the bike to accommodate the increase in speed. Out of the year 12 science project Gulak received extensive international press, was awarded the 2008 Invention of the Year from Popular Science Magazine and made an appearance on Dragons’ Den, the venture capital reality TV show, where he scored a deal for US$1.25m to develop his Uno 1 prototype into a commercial product. The Uno 3 is now slated for commercial release early next year. We appreciate Gulak’s determination to challenge accepted modes of transport and rethink them for contemporary urban living: why does a single individual need 1 tonne of empty car to get to work in the morning? How can motorbikes be stored securely overnight? What alternatives exist to petrol and how can they be employed by the average city-dwelling individual? The automotive world is already benefitting from this type of thinking, now boasting real alternatives to the average fuel-guzzling family sedan. While we can hardly expect to see the millions of cars currently on the road replaced by Uno 3s when it’s released onto the market next year, we firmly believe it will make an important and positive contribution to the fast-changing automotive landscape. 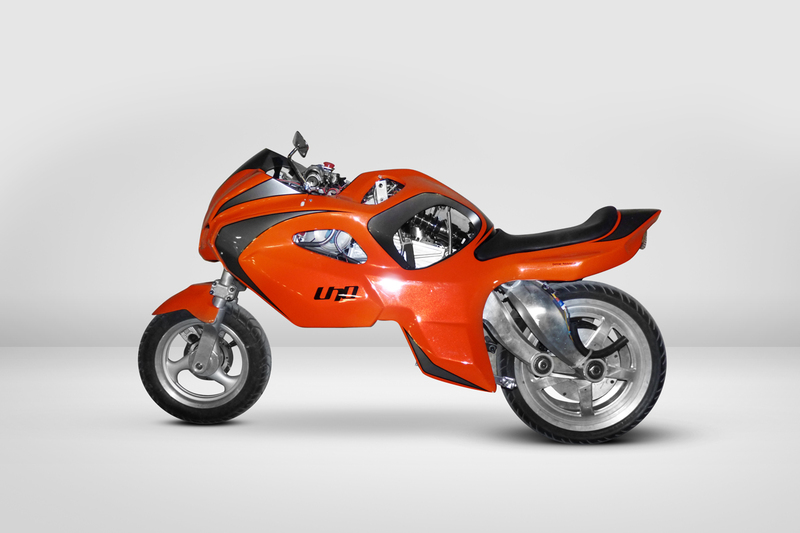 The Uno 3, together with other niche products like the Tesla Roadster and Indian Revai are the vanguard encouraging mainstream manufacturers to think outside the box and clean up their act. You’re absolutely right, Alex. Cities which offer direct financial incentives for greener vehicles have had remarkable success in encouraging their uptake. Swedish city, Växjö, which was recently recognised as the greenest city in Europe, has implemented free parking spaces in the city centre for small, hybrid and electric vehicles. Check out more information on their green projects here. Actually, congress is considering a fee for people who pay less for gas because the govt taxes are a big part of gas prices and they have to make up the income somewhere. Look it up…I kid you not. It was on the news. If you save money..the government wants the diff. Gina, that would be a terrible decision, unfortunately far too common in the political arena… Short term gain favoured over long term reward. You mention congress – We assume you are from the United States? Pingback: Have you guys seen this? ?